For those who have wanted to try their hand at fortunetelling, this comprehensive sampler of divination strategies offers a thorough introduction to a wide range of options. From more elaborate systems such as numerology, palmistry, and the I Ching to simpler dice and tea reading, you'll come to understand the history and usage of these ancient arts. Learn to read futures in a crystal ball, tarot cards, runes, or your own visage. Predict ups and downs in love, career, relationships, and finances. Find meaning in dreams, the structure of a flower, and even the placement of moles on a person's body. 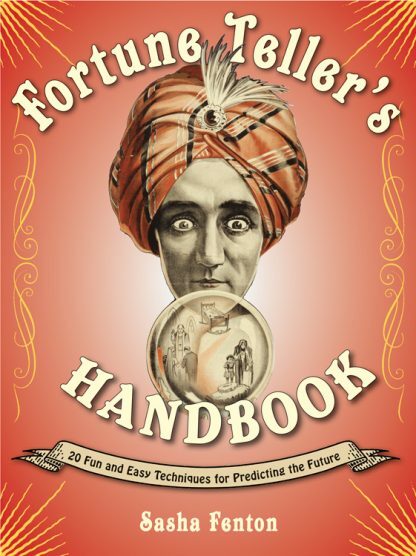 Expert insights, sample readings, and instructive illustrations provide practical guidance for the budding fortune-teller. This book is fun to use for yourself or with a gathering of friends. Techniques include: crystal ball reading, numerology, rune reading, using a pendulum, palmistry, tea leaf reading, and using the I Ching. Are you destined for good luck, money, and a great career? Will you find love or travel to distant lands? The answers can be found in these 20 easy-to-use predictive techniques.